You probably already know that a ZRT mower makes the chore of cutting your grass speedy and even enjoyable. However, there’s a learning curve that comes along with these wonderful machines. Our number one priority is your satisfaction and ultimate safety. How do you drive a zero-turn mower safely? That’s what we’ll discover today in this short guide. You should always refer to your mower’s owner manual with questions about operating the zero-turn mower that you have purchased. Of course, contact Bobby Ford Tractor and Equipment today with questions and concerns about your current or wish-list ZRT! If you’re wondering how to use a zero-turn lawn mower, then step right up! If you own a ZRT or are looking to purchase one, you are likely aware that mowing around shrubs, trees, flowerbeds, etc. in your lawn will be surprisingly simple. At first, you may experience a little frustration as you learn the ropes. But if you commit to practicing, you’ll be cruising over your property with ease in no time. Probably the most difficult piece of ZRT operation is making zero-turns without destroying your lawn in the process. Keep reading for some details that are sure to help you become a pro on your zero-turn lawn mower. And if you’re looking to make a purchase, check out Bobby Ford’s Kubota zero-turn mowers here! To start your zero-turn mower, locate and engage the parking brake. The correct starting position for your drive handles requires you to have them wide apart. Your PTO should be pushed down into the off position. Once these are in place, you can turn your key to the start position which will start the engine. Next, pull up on the yellow PTO knob to engage the mower blades. With your ZRT engine running, place the engine in neutral. You’ll do this by pulling both levers together, right over your lap. Finally, disengage your brake. To begin moving (and mowing), push both levers forward together at the same time. Your ZRT will move ahead straight. If you push the levers all the way out, you’ll find yourself hitting top speeds of 9 MPH. You’re ready to go. Turning a ZRT can be tricky at first, but you’ll get the hang of it the more you practice. It’ll become second nature to you, and you’ll likely enjoy yourself immensely as you complete this necessary chore with flair and speed. When you prepare to turn, think of what it’s like to ride a bike. If you push the left lever forward and pull the right lever back, you will turn right. In order to turn left, you’ll push the right lever forward and pull the left lever back. Be warned: zero-turn steering is extremely sensitive. And yes, you can literally turn on a dime with this thing! Pro tip: When you make that 180-degree turn without ever even moving forward or back, you can make a pretty nasty tear or hole in your lawn. As the mower pivots around, the stationery wheels on the inside of the turn cause this to happen. A three-point turn is the answer! When you need to slow down or stop altogether, pull those two levers back toward your lap to the neutral position. If you need to go in reverse, pull past the neutral position towards your body. It’s important to understand how to use a zero-turn mower on a hill, of course. This stands as one of the largest concerns when it comes to this specific piece of lawn equipment. Please remember this. Making a turn while coming downhill is dangerous on your ZRT. You should never mow hills with slopes greater than 15 degrees. And when you’re moving up or down on inclines, move slowly and with caution. Forego the changes in direction, and certainly forget about any and all sharp turns. For your safety, mow when the grass is dry, and only move up and down the hill – never side to side. Pro Tip: If you’re questioning a hill and whether you should attempt it with your zero-turn, here’s what you should do. Back straight up that hill. If you can’t back up the hill, then consider it too steep for your ZRT. Practice. And then practice some more. You’ll be a ZRT pro very soon! 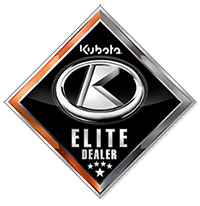 Before you go, check out Bobby Ford’s Kubota mowers and browse the site of your Houston Kubota dealer today! Bobby Ford Tractor and Equipment is the best in the business, and we’re here to help. You can count on our expertise and quality products to get your toughest jobs done.